Did you know that three out of four children suffer from digestive problems including gassiness, constipation and diarrhoea? Little kids have sensitive tummies so this is a major concern for parents! We take you on a unique journey to explain how this concern can be addressed by using milk preservation methods through the entire milk journey. Tiny tummies are extremely gentle and sensitive and this makes them likely to suffer from digestive problems and mums, we know how you hate to see your little one in discomfort! It’s worth finding out what causes these problems in the first place and how you can protect your baby from them. Indigestion happens when they are not able to break down the nutrients that they ingest, thus giving them pain or discomfort. That is why your baby’s tummy requires nutrients that are close to their natural structure for easy digestion. With many different brands of formula milk to choose from, mums and dads have to consider different factors when choosing the best brand for their family. The majority of mums agree that they want a formula that supports easy digestion for your child! 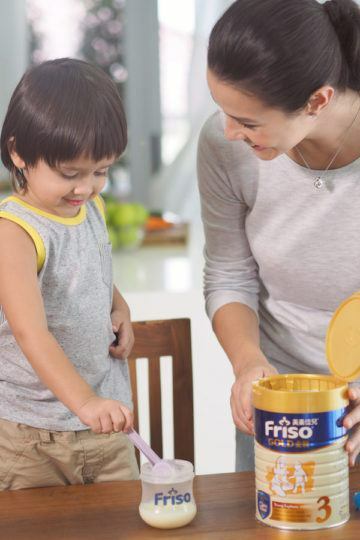 Leading formula milk brand Friso appreciates this parental concern and therefore, it makes sure that its milk formula (Friso Gold) is processed using their patented LockNutri technology which plays a key role in preserving the milk nutrients making digestion easy for your little one! Friso Gold® milk comes from their own farms in the Netherlands with over 140 years of dairy expertise used to create a naturally nourishing environment for their cows to produce high-quality milk that’s naturally rich in nutrients. 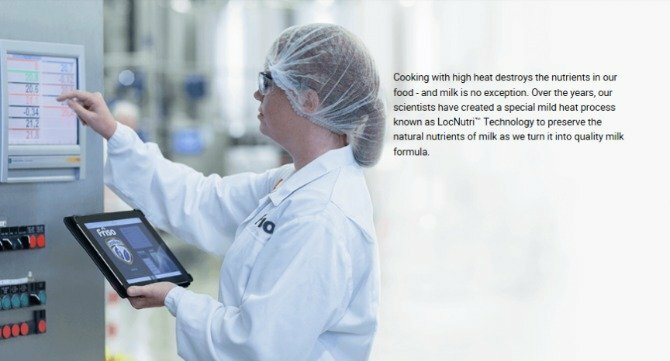 Gentle care is taken at every step of the process to lock in the goodness into milk formula from the farm to the factory and developed a special mild heat process knowns as LockNutri technology to preserve the natural nutrients of milk as we turn it into quality milk formula. 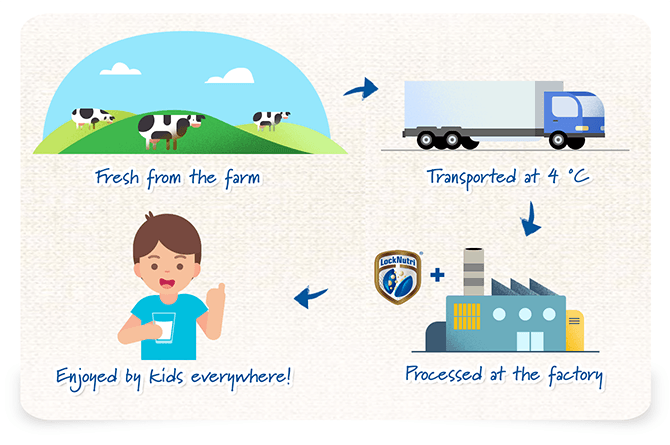 We traced the milk’s journey from their farms in the Netherlands to your home here in Singapore. Come, join us on this fascinating journey to discover how Friso processes the formula milk. This behind-the-scenes look will showcase to you how this milk manufacturer is committed to preserving the quality nutrients that nourish your child. Every glass of Friso Gold milk originates from one of 19,000 dairy farms in the Netherlands. These cows are monitored and fed a healthy diet of ryegrass and maize to make sure they are producing the highest quality of nutrient-rich milk! 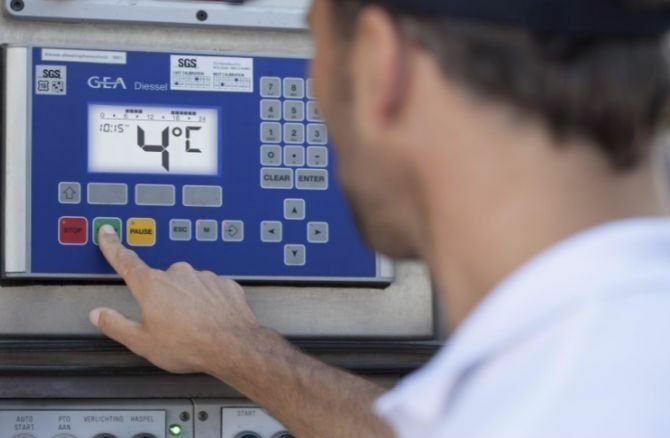 During transportation, milk is kept at a maximum of 4 degrees Celsius in order to keep a high freshness index from the farm to the processing plant. Once the milk reaches the factory, it undergoes careful treatment. Friso knows the importance of preserving milk nutrients during this process as we turn it into quality milk formula. If milk is processed at a high temperature, the milk nutrients will be damaged. These damaged nutrients are indigestible and are harmful to your little one’ sensitive tummies which can cause digestive problems like constipation, diarrhoea and gassiness. 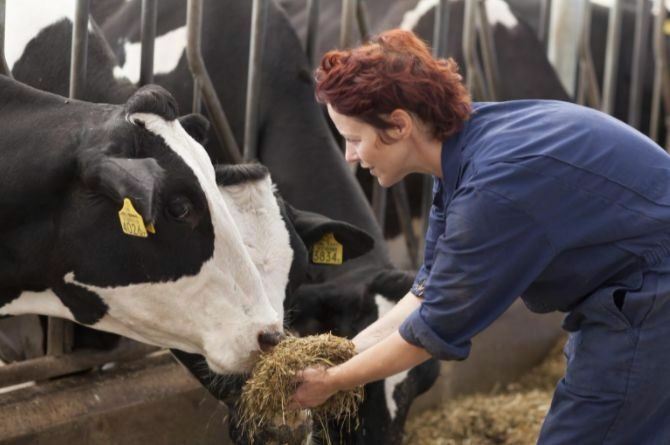 Friso developed LockNutri Technology to preserve the milk nutrient close to their natural state. When milk nutrients are preserved in this way, they are more easily digested by your little one’s stomach so your child benefits more from being able to easily break down and absorb the essential nutrients that Friso Gold provides. As seen above, throughout the processing of the milk process, Friso does its job of preserving the essential milk proteins diligently and scientifically. Now, mums and dads, it’s your turn to do the same! When you are preparing a glass of Friso Gold for your little one, be careful and watch the temperature you’re heating the milk at. This should be heated at a temperature of not more than 40 degrees to preserve the nutrients of milk as overheating will damage the milk nutrient. With complete control over the milk journey, it’s easy to understand why mums and dads trust Friso Gold for their precious little ones. For more information about Friso Gold and to get your free sample, visit Friso.com.sg today!